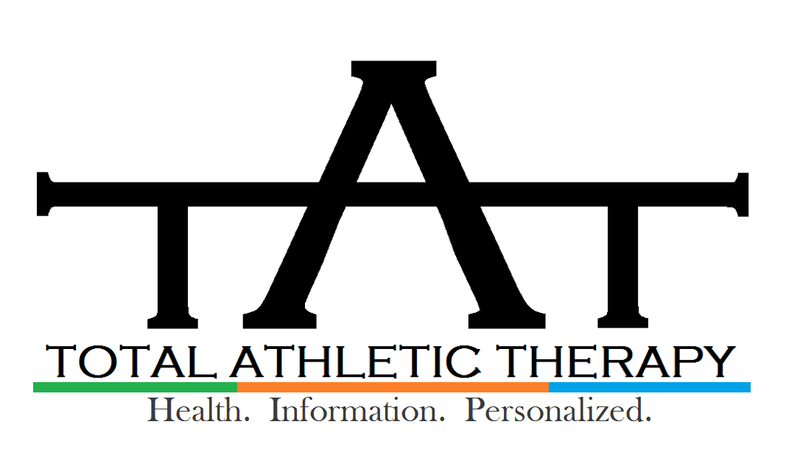 Total Athletic Therapy: Study Spotlight: How Hard Do You Work in a CrossFit Competition? 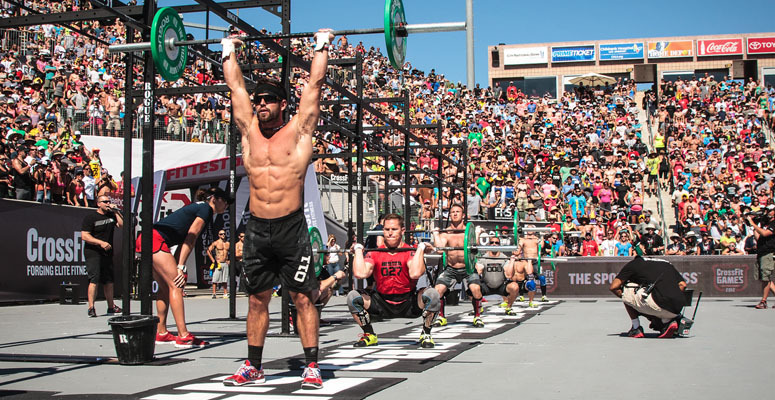 Study Spotlight: How Hard Do You Work in a CrossFit Competition? CrossFit is rapidly becoming one of the most popular fitness trends in the world. This style of training has become so popular it has evolved into a sport in a stand-alone category of competition. The CrossFit games are an athletic-based competition that has evolved out of the popular training paradigm referred to as CrossFit. 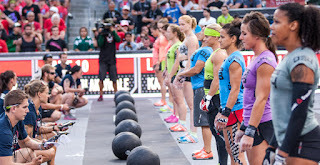 However with all of the buzz surrounding CrossFit and with the 2015 CrossFit Games right around the corner it's important to understand the true nature of the sport and the physical demands imposed upon the body. Therefore, researchers out of Gannon University and the University of Wisconsin - La Crosse sought to determine how challenging these competitions really are. Researchers organized a simulated CrossFit competition at a local CrossFit gym. 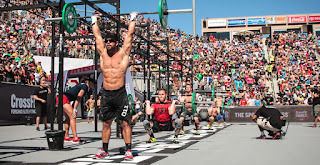 The competition consisted of 3 events/WOD's separated by 90 minutes each. During the events subjects were monitored for changes in heart rate, calorie expenditure and blood lactate levels (a byproduct of metabolism used to gauge the rate of anaerobic metabolism). They also assessed which physiological variables were correlated with measures of performance during the simulated competition. "Helen" 3 rounds of 400m run, 21 kettle bell swings and 12 pullups for time. An 11 exercise "Chipper" consisting of 10 repetitions of the following exercises completed in ladder fashion for time -> Overhead squats, box jump overs, thrusters, power cleans, toes-to-bar, burpees/chest to bar pull-ups and back down again. (Males used 95 lbs; Females used 65 lbs for all exercises). Below is a table from the manuscript summarizing the physiological responses to each event. Lower body power appeared to be correlated with performance during event 1 in addition to aerobic capacity and fat-free mass. "Fat-free mass was positively associated with lower body strength as determined by 1RM Thruster performance in Event 2. In addition, lower body peak and average power were positively associated with lower body strength." As you might expect if you've ever watched a CrossFit competition on TV or attended one live. they are brutal. Based on the high heart rate values (>90% MaxHR for events 1 and 2) and VO2 values (~80-90% Max) it can be assumed that people are working at very high intensities during these competitions. Also there are relatively large increase in lactate levels and can therefore assume these competitions require a high involvement of the anaerobic energy systems. Also, from a training perspective it appears as though individuals with higher amounts of fat-free mass aka lean muscle and lower body power seem to be suited for these types of competitions as they tended to perform better. In addition, a higher aerobic capacity also appears to be correlated with superior performance. So, make sure you train in such a way to maximize gains in lean muscle while still focusing on power-based exercises to increase your chances of placing higher. Oh yeah, and make sure to do some conditioning in there as well. Luckily most CrossFit based workouts typically include all of these aspects of program design which is what the CrossFit world takes pride in. 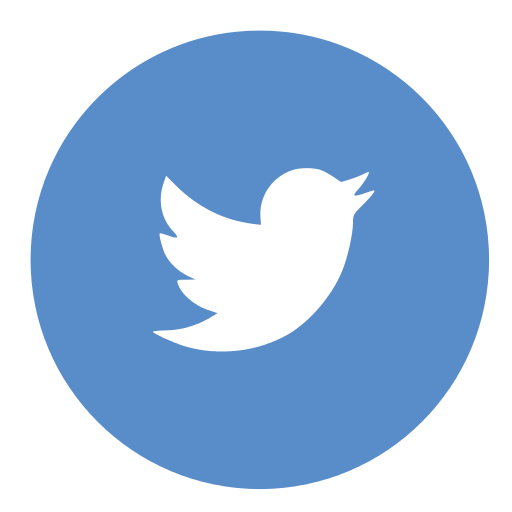 Jagim, A. R., Rader, O., Jones, M. T., & Oliver, J. M. (2015). THE PHYSICAL DEMANDS OF MULTI-MODAL TRAINING COMPETITIONS AND THEIR RELATIONSHIP TO MEASURES OF PERFORMANCE. The Journal of Strength & Conditioning Research.